Join Targetbase and The North American Conference on Customer Management for Engagement Optimization in Healthcare, a one hour, complimentary webinar on Thursday, March 10 from 2-3 PM EST. How do you measure the impact of customer engagement with your content and communications? How can you use a customer’s pattern of engagement to strengthen the relationship and drive prescriptions and adherence? The tight integration of content, data, cutting-edge analytics and technology can deliver optimal customer interactions and drive your marketing objectives. Learn about an innovative approach that is providing marketers with an actionable gauge of relationship strength and the ability to drive and optimize ROI. For over 8 years, NACCM has been your most trusted partner for peer-to-peer sharing, leadership building sessions, and legendary storytellers, leaving you with the inspiration and empowerment to make a difference. 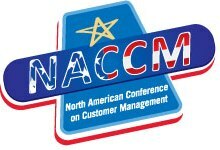 NACCM balances practical content you can take action on, unique experiences that reinvigorate, and big-name keynotes that inspire- all while stressing the importance of keeping the customer at the center of every business decision. Are Mobile Apps The Future of Customer Service? Between reading about the recent addition of ICE (Interactive Customer Experience™) TV and Mobile programs, a virtual, interactive concierge service, to the newly opened JW Marriott Indianapolis Downtown and learning the results of the most recent J.D. Power and Associates study on customer satisfaction—wherein automated response systems did nearly as well as the industry average satisfaction level—it seems clear that automated customer service and customer service systems are a trend with staying power. American Airlines, as we discussed last week, also offers mobile applications to keep customer experiences stress free, such as the Mobile Boarding Pass system. With a general public that is increasingly using smart phones to text and tap their way through the day, it’s hardly surprising that some would prefer to address customer service issues in this manner. Why dial an 800 number and wait to speak to a service representative, when you can call up the Internet or an app from your mobile device for immediate answers? What was once simply the realm of Interactive Voice Response technology now includes elements such as text, touch and visual inputs and outputs. What is your company doing when it comes to automated response systems and mobile technology? Do you see mobile apps as a potential time and money saving device? Or is developing and maintaining mobile technology seen as an additional unneeded expense? If you are developing mobile technology, will it be proactive—such as the American Airlines or ICE applications, which address customer needs before a problem arises—or reactive, such as a direct link to customer service questions? Share with us in the comments! With the holiday season behind us, many are relieved to have the stress of annual travel over with. Meanwhile those who travel regularly throughout the year continue to face increased security, long lines, high prices and more. American Airlines is looking to put the pleasure back in traveling and improve the flying experience for its customers by building a sense of competition between airport station teams and honoring improved customer service and innovative problem solving with its quarterly “Customer Cup” awards. San Francisco, Denver, Pittsburgh, Columbus, Ohio, and Punta Cana, Dominican Republic were awarded the Customer Cup this quarter for improvements in internal customer satisfaction ratings in several categories, including increases in customer interaction and baggage delivery ratings. The Customer Cup represents a small part of the airline’s focus on improving the experience for its customers by strengthening internal communication and processes. Employees from all sectors of the business are encouraged to bring forward ideas and solutions to improve the travel experience for customers, and recognition programs such as this one reward innovation. "Given the challenges the industry faces, the Cup is a great way to recognize the accomplishments of our employees," Mark Mitchell, American's Managing Director – Customer Experience stated in a press release, "It's through their dedication and ingenuity we can deliver exceptional travel experiences of our customers." By improving participation in improved customer experiences amongst internal stakeholders and streamlining customer experiences with new technology—including iPad, iPhone and Android mobile apps—American Airlines is turning the focus away from the inevitable negatives of flying and towards increased customer satisfaction. Has your company had any success with employee recognition programs? 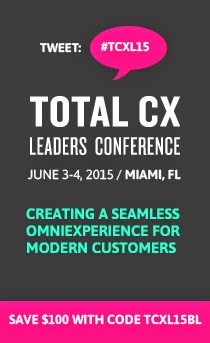 What goals and strategies do you have for 2011 to improve your customer experiences?